Florida Secretary of State Ken Detzner ordered a manual recount for the Senate race as unofficial returns from a machine recount conducted this week met the statutory threshold to trigger a manual recount. If two candidates are within one quarter of a percentage point after a machine recount, then Florida law obligates the secretary of state to call for a manual recount. Democratic incumbent Sen. Bill Nelson trailed Republican Rick Scott by about 12,600 votes, or 0.15 percent of the more than 8 million ballots cast, after the machine recount. Elections officials are now expected to inspect ballots which were considered to be over-votes or under-votes, where the machine registered that a voter had made more than one selection or skipped a contest. If voter intentions are clear, the ballot will be counted. 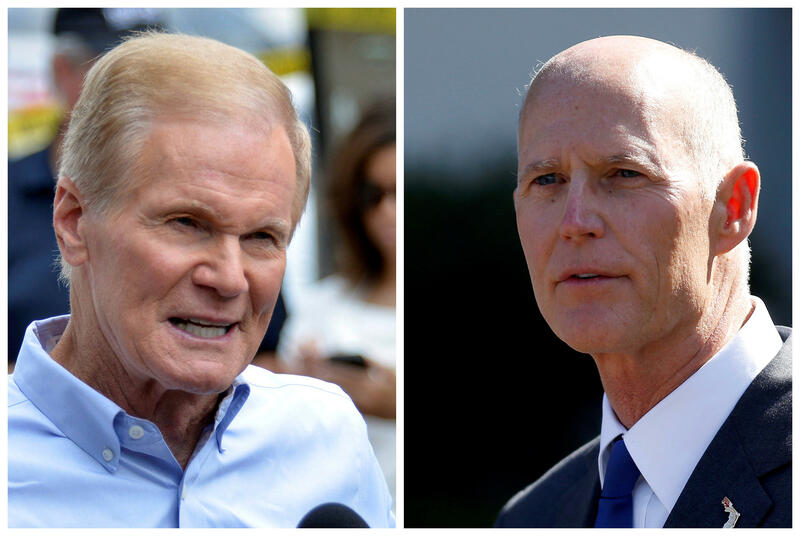 Scott has called on Nelson to concede, saying that "Florida voters elected me as their next U.S. Senator and now the ballots have been counted twice." "We need to put this election behind us, and it is time for Bill Nelson to respect the will of the voters and graciously bring this process to an end rather than proceed with yet another count of the votes – which will yield the same result, and bring more embarrassment to the state that we both love and have served," Scott said in a statement. CBS News Miami reported Thursday evening that Broward County submitted the results of the machine recount two minutes past the 3 p.m. deadline, meaning that those results will not be counted. The initial results submitted on Saturday will be considered instead. Palm Beach County Supervisor of Elections Susan Bucher said they came up about three to four hours short of being able to complete the recount, CBS Miami reports. She blamed outdated machines for missing the deadline. Consequently, Saturday's unofficial results will stand in Palm Beach County. Detzner has not called for a manual recount in the gubernatorial race, where Republican Ron DeSantis narrowly leads Democrat Andrew Gillum. DeSantis is leading Gillum by around 34,000 votes, or approximately 0.4 percent of all ballots cast. That margin was narrow enough to allow for a machine recount, but not for a manual one. A recount was also called for the Agricultural Commissioner race.